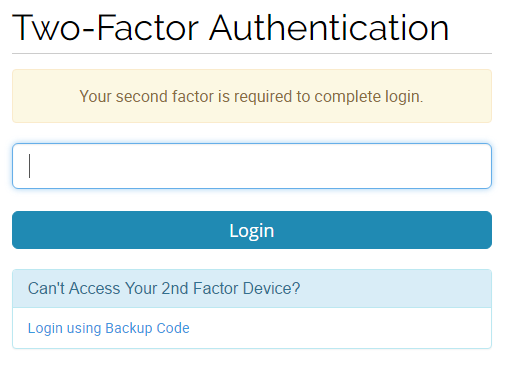 We recently introduced two factor authentication to our cPanel and we’re now happy to announce you’ll be able to utilize two factor authentication in our client area as well. Two factor authentication (2FA) adds an additional level of security where in not only your password is required but an additional code typically retrieved from another device such as a phone. Once setup the code will be required upon each login which means if anyone ever retrieved your client area password they would still be unable to login. On the next page all you need to do is click the “Click here to Enable” button. After this you’ll go through a simple multi step process to enable two-factor authentication on your account. This will include verifying your code works as well as being presented with a backup code in the event you lose your two factor device or it’s not available. Once you provide the time based one time password you will then be logged in. You’ll be able to sleep even better at night knowing that even with your password your Hawk Host account will remain secure. This entry was posted in General and tagged 2-factor, client area, two-factor. Bookmark the permalink. 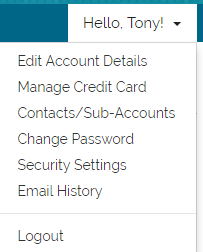 Great news, I will use for my account. All hosts should have 2FA. And blogs too. I don’t have smartphone, how can I enable this?